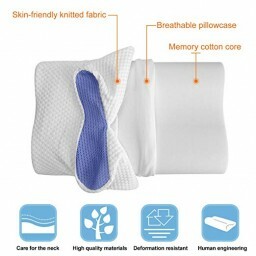 COMFORTABLE -- ESEOE Memory foam pillow is made of high-density memory foam,which is known for its supportive comfort and superior pressure relief,keeping your sleeping posture in a ideal position and make your sleep more peace of mind. 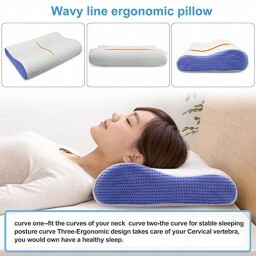 WASHABLE -- ESEOE Memory foam pillows with velvet fabric pillow cover, which coule fully removable and machine washable, it is easy for cleaning care.No matter how long you use it, every cleaning will give you a fresh feeling and it will not easy be deformed. 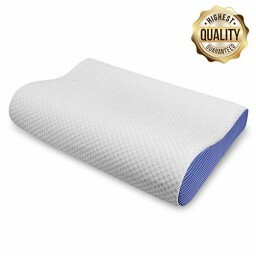 WHAT YOU GET -- ESEOE Sleep Innovations Memory Foam Pillows, we offer 180-day 100% satisfaction guarantee and life-time friendly customer service. 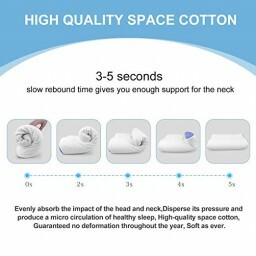 When you receive a pillow, if you feel too soft or too hard, please don’t hesitate to contact us . And we will solve the problem in the shortest time.